As a kid, I lived very much in my head. I built forts and sandcastles, I swung on swings and climbed jungle gyms—but really taxing, sweaty, whole-body-limbs-and-heart engaged movement, not so much. Team sports sent me into a spiral of panic. I didn’t really come home to my body until I signed up for jazz dance in high school at Feet First! (The exclamation point was part of the name.) Our teacher was pixie-sized; we danced to Prince and Duran Duran in black and electric blue spandex. In college I picked up my roommate’s running habit, bundling up on winter afternoons and running past fields of rasping cornstalks. Since then, I’ve stayed active—weights, yoga, biking. Exercise is not always comfortable. Sometimes it’s a slog. Sometimes it’s a long string of swear words. But, pushing through discomfort you learn what you can achieve. It’s exhilarating to go farther or faster than you know you could have done in the past. Exercise teaches about momentum and second winds. And then there are those blessed endorphins—the rosy afterglow that results from a hard workout. Exercise reminds me of something that’s easy to forget: how to tolerate discomfort. Endurance is really just a matter of not letting discomfort throw you off your game. Something that surprised me about exercise is that there’s joy in it. Things don’t have to be easy or even fun to be joyful. An awesome side effect of my exercise habit is that these lessons—about endurance, discomfort and joy—carry into the non-exercise parts of my life. For example, when I sit down to write. Generally there are approximately one million other things on my mind, which is yammering about how it would be nice to watch Netflix or make cookies. Or fantasize about how great my book will be when it’s done instead of wrestling words that won’t come together in the way that I want them or trying to figure out the structure of chapter ten. Finally, writing engenders intellectual discomfort: when I can’t think of a particular word though it’s on the tip of my tongue or when I can’t figure out what I’m trying to say though I’m certain it’s something REALLY BRILLIANT. 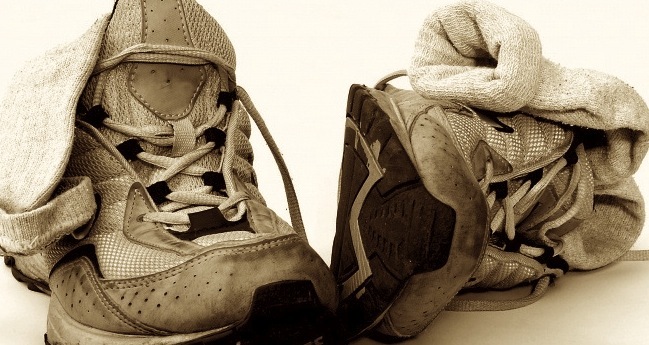 Exercise has taught me (to borrow a phrase from, I don’t know, some company – I think they make shoes) to just do it. Sit down and do the work. Be okay with discomfort. Sink into it, don’t let it eat you up, just let it be. Swear if you must – gripe and groan, but try to find the joy in it. My friend Sarah texted the other night to ask me to dinner. I said I had to write. I was stressed. I texted, “I have to remember it’s a marathon, not a sprint.” Sarah texted back, “Yes. Sustainable speed with 20 minute breaks. Hydrate and tell yourself you can do it.” There’s joy in exercise and writing. There’s joy in pressing on and through discomfort. It’s breathtaking, really, to meet ourselves at those places of resistance and to pass through and beyond where we thought we could go, what we thought we could do. this really does apply to so many things in life, mai. my friend ann recently shared with me what her yogo instructor told her: hope is a discipline. i’ve been really chewing on that lately. I like that one! I shall chew alongside you. Makes sense. I need to join you. I’m fat! sethsnap, I’m sure you are lovely. But, right on, let’s do this! I am at the same stage of reacquaintance, and yes the actions evoke a whole plethora of dietary ambitions that kick in to complement the efforts. Wow! Good luck with the dietary ambitions. Having turned 58 yesterday, tolerating discomfort does, indeed, become a part of the landscape. I have also written about the discomfort, and sometimes even downright agony, of writing. Like exercise, they both feel magnificent after they’ve been done. The rewards of pushing through are unmatched. Happy Belated Birthday, Barbara! Let me know if you have any words of wisdom about making it through the discomfort to that magnificent feeling. This is awesome and so encouraging! I’ve been getting back into my own workout routine lately, and I can say, Southern Cali cold is NOT Chicago cold, so, mad props! It really IS about dealing with discomfort, writing, running, living…. Life is uncomfortable. Just think of your first date.